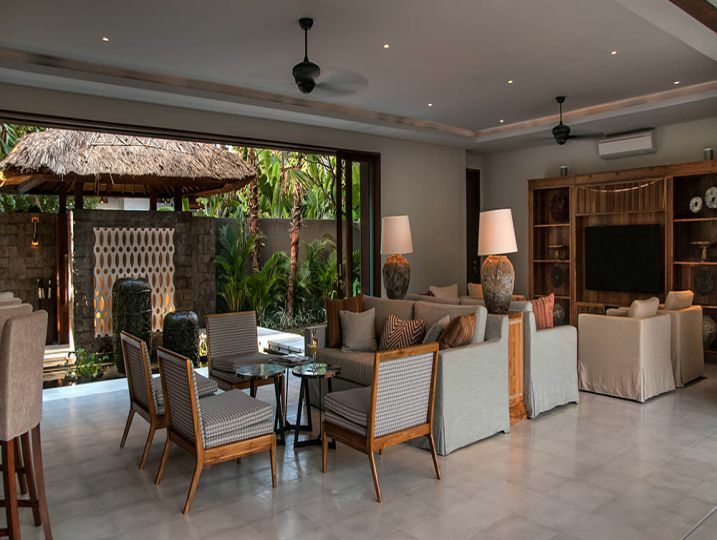 Bordered by majestic trees and just moments from the Indian ocean in a quiet coastal village, the six-bedroom Seseh Beach Villa II makes a luxurious out-of-town escape, characterised by stylish contemporary architecture complemented by thatched roofs, solid timber doors, marble and teak fixtures and polished-concrete floors. 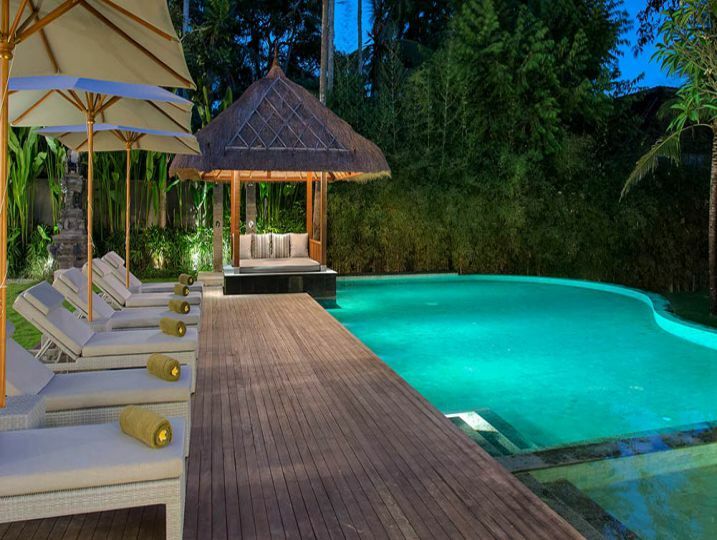 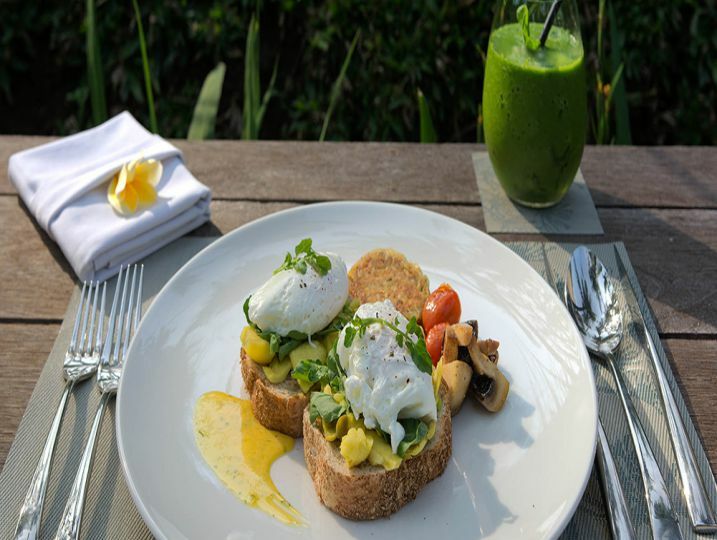 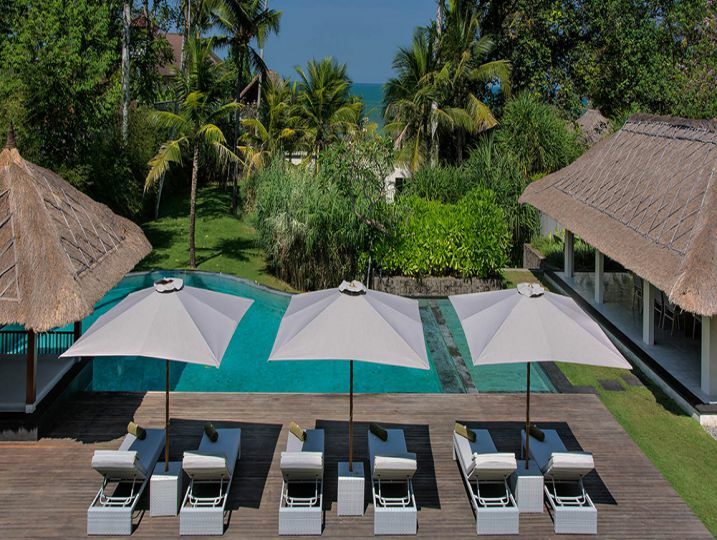 The property comprises a main two-storey house, an open-sided dining pavilion, 16-metre swimming pool and a large poolside balé set within a spacious garden complete with a flat lawn that makes an ideal setting for a tropical Bali wedding. 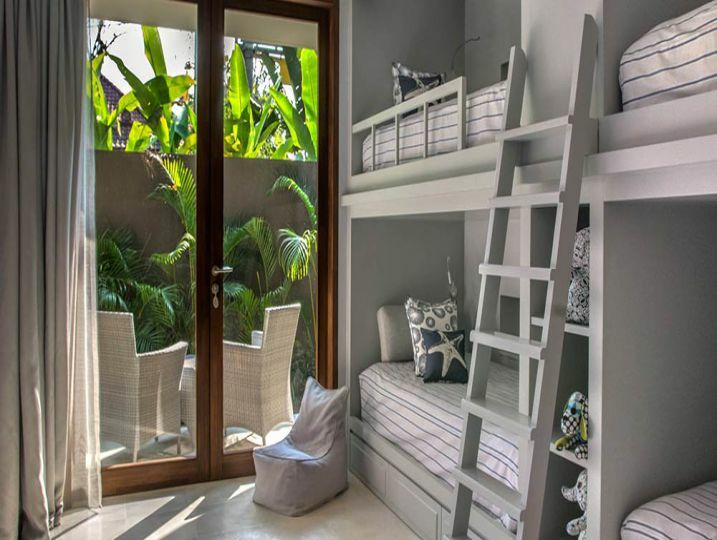 The main building houses an expansive living room with a bar, a formal dining room, and six air-conditioned bedrooms including a kids’ room fitted with bunk beds for four. 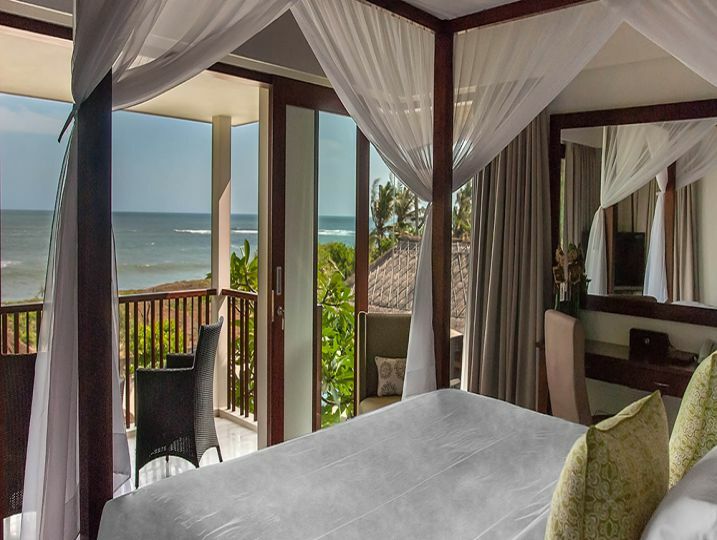 All of the bedrooms are equipped with satellite-channel TVs and adjoined by air-conditioned bathrooms. 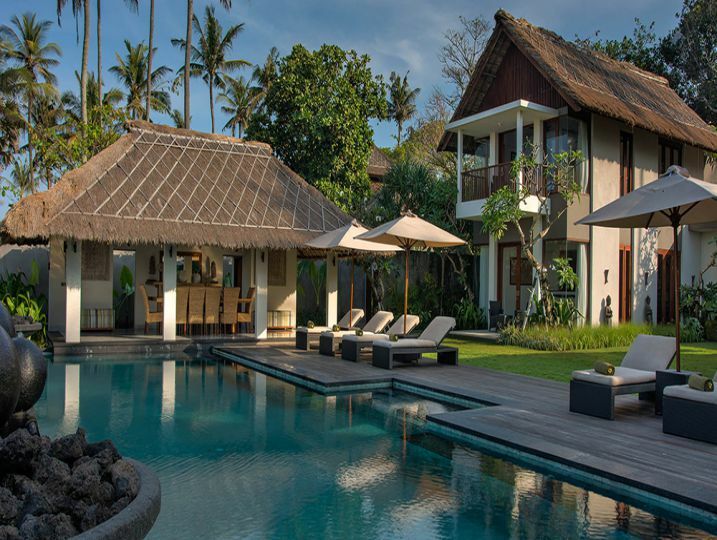 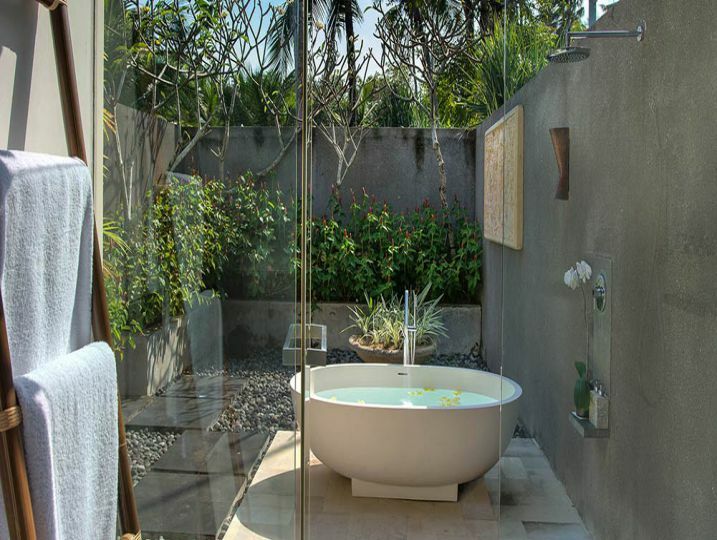 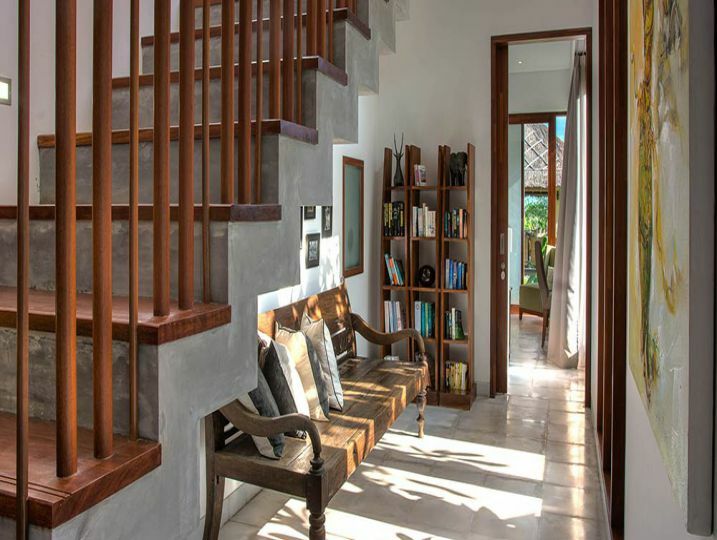 The villa’s location in the traditional village of Seseh gives guests the opportunity to witness the daily rural life of the Balinese, enjoy the beauty of the rice fields, take bicycle rides down country lanes, or walks along the beach. 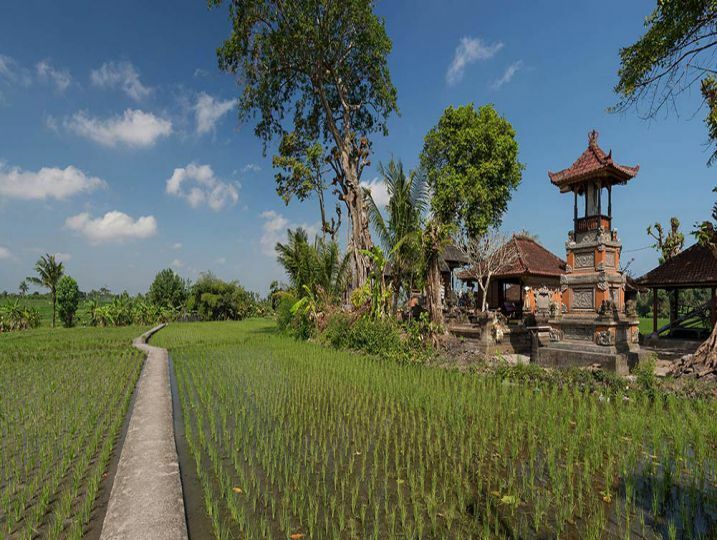 Temple ceremonies are a common sight and visitors are made welcome by the local community. 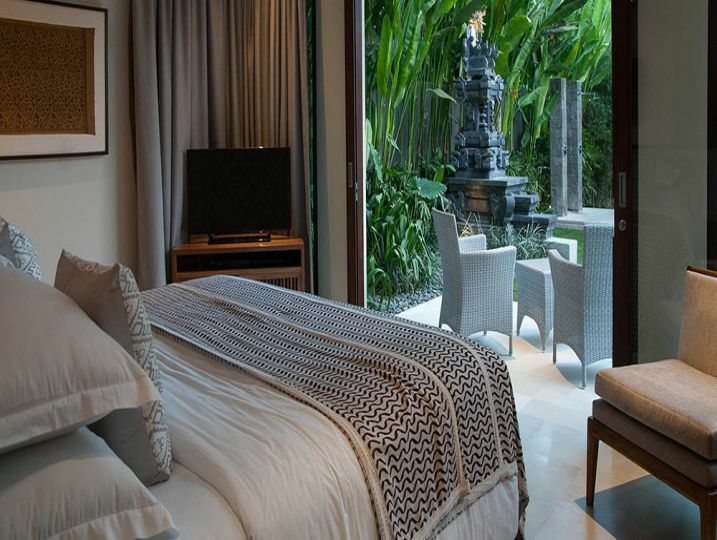 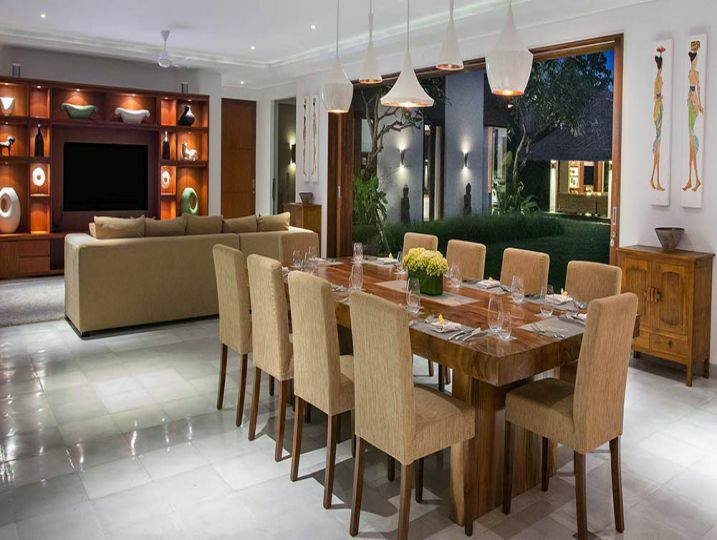 Guests who want to travel further afield can avail themselves of the villa’s car and driver for eight hours per day. 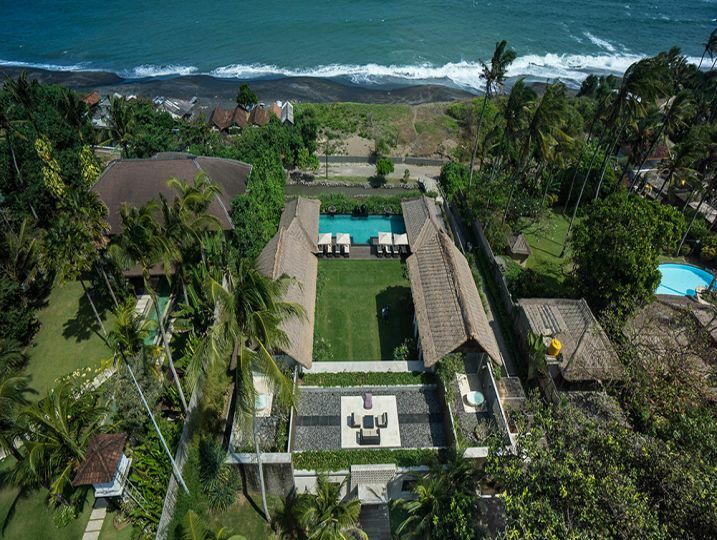 This peaceful village feels like it is miles from anywhere but is actually only 14 kilometres from the restaurants, nightlife and shops of Petitenget and Seminyak, while the picturesque Tanah Lot sea temple is just nine kilometres away. 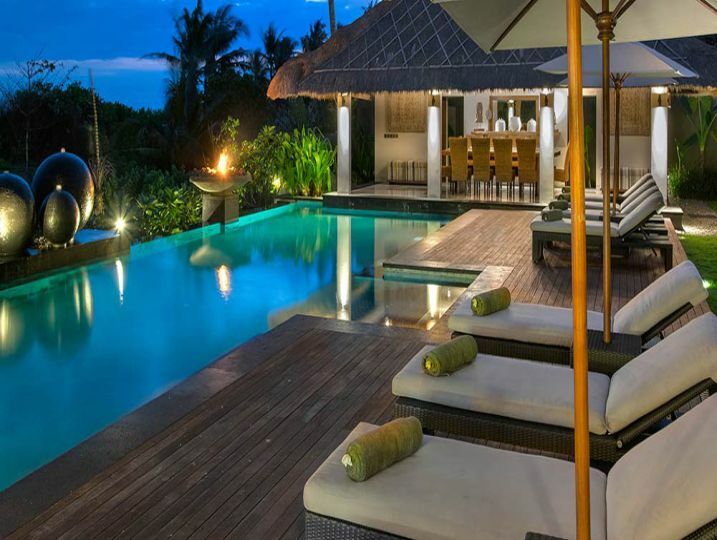 Seseh Beach Villa II is available for selected dates.